Old Butte Publishing, Butte, Montana, 2003, 118 pp. 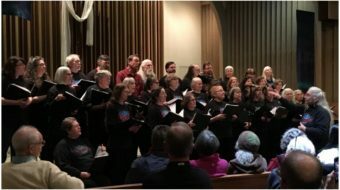 “The Truth about the Lynching of Frank Little in Butte, Montana, 1917” documents in horrendous detail the awful torture and death of union organizer Frank Little in the wee hours of August 1, 1917. As far as I know this little 118-page booklet is the first time anybody has even tried to bring these facts together. And yet, Frank Little may be the greatest figure in American labor history. He fought for and won free speech rights before the American Civil Liberties Union was created. He successfully implemented tactics of non-violent resistance years before Dr. Martin Luther King Jr. – even years before Mahatma Gandhi used it to free India from British rule. 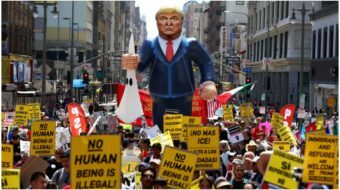 He successfully implemented farm worker organization years before Cesar Chavez. 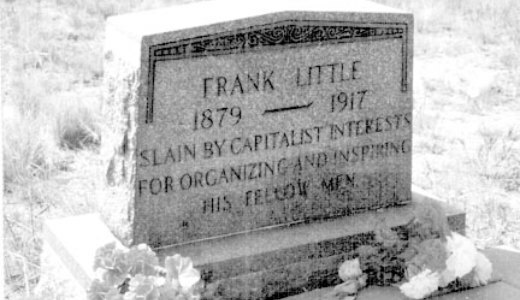 Frank Little was a charter member of the Socialist Party and Industrial Workers of the World. He was a hard-rock miner associated, like Bill Big Haywood, with the Western Federation of Miners until their split from the IWW. He led free speech fights among lumberjacks and farmworkers all around the West. He organized miners from Bisbee, Arizona, to the upper reaches of Montana and Minnesota. Within a few nights, he was dragged out of his hotel without his clothes or his crutches, tied to the back of a Cadillac car, and dragged through the streets to a nearby railroad trestle, where he was strangled to death with a hangman’s noose. No one was ever arrested or punished. Thousands gathered for the funeral.